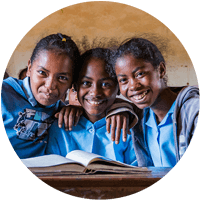 Madaworks provides scholarships for girls to go to high school and supports women’s sustainable economic development in Madagascar. We are investing in women’s economic growth by supporting their weaving collectives to help foster a more inclusive economy for fragile and hard to reach communities. 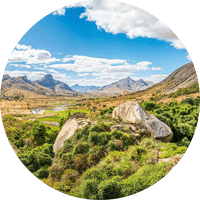 Madagascar is a magnificent place of mystery and wonder, beauty and dreams. This is where the dream behind the creation of Madaworks was born. Imagine growing up in a place that has some of the most extraordinary, precious biodiversity on the planet. Imagine this was your world and yet you could not access higher education. Imagine never having the option to become a scientist, a doctor, a teacher or even to finish high school. Imagine no access to opportunity. This is what Madaworks wants to change, one girl at a time. 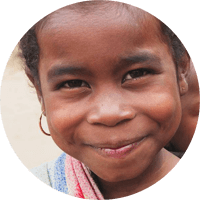 Our formula is simple and challenging at the same time: provide education for young women and support women economically. Positive change will follow as access to educational opportunity for women flourishes, economic development is enhanced, biodiversity is sustained and poverty is reduced. Send a girl to school today or click an image below and get to know us a little bit more!